I was too pregnant to fit under my kitchen table making machine sewing a hilarious feat of stubbornness. I realized there was a chance my daughter would be here for Christmas, and thus needed a stocking made. I am NOT one of those women who basks in the glow of being pregnant. I love my babies, don’t get me wrong, but getting them here is by far one of my least favorite processes. I think I spent most of my December on my couch daydreaming of sleeping on my stomach and being able to eat food without getting heartburn. The new year came with a glass of sparkling cider, my husband and son and I all cuddled on the couch in the dark watching fireworks outside. I love those moments with your family where you get a chance to just breathe and enjoy being in each other’s company. I knew our family of three would soon be four, and it was sort of magic to me to stop and enjoy my son and husband. 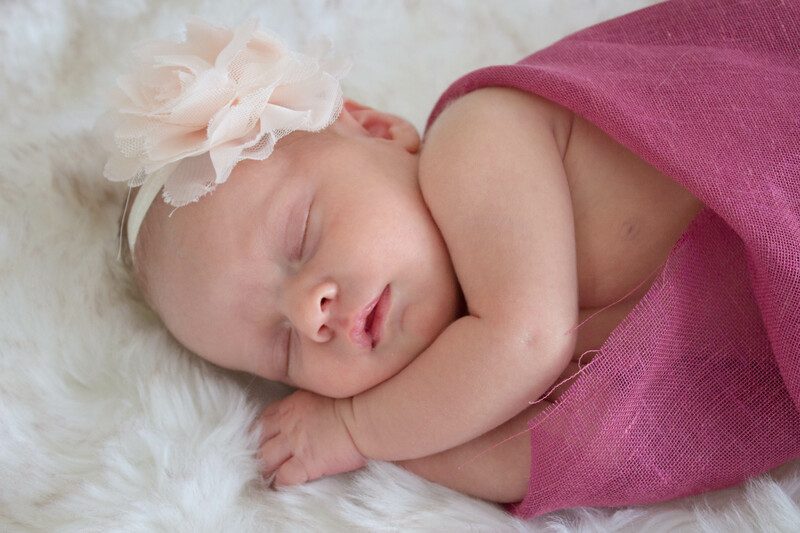 Sure enough, a month early and just after the new year, Ellie joined us. We were completely unprepared. My son came at 41 weeks and 2 days, so my water breaking at 36 weeks was a shock. She had to stay in the hospital a little bit longer than I did. Since she came home our life has become a version of organized chaos. Lots of people told me two kids would be much harder than one. It’s definitely true. 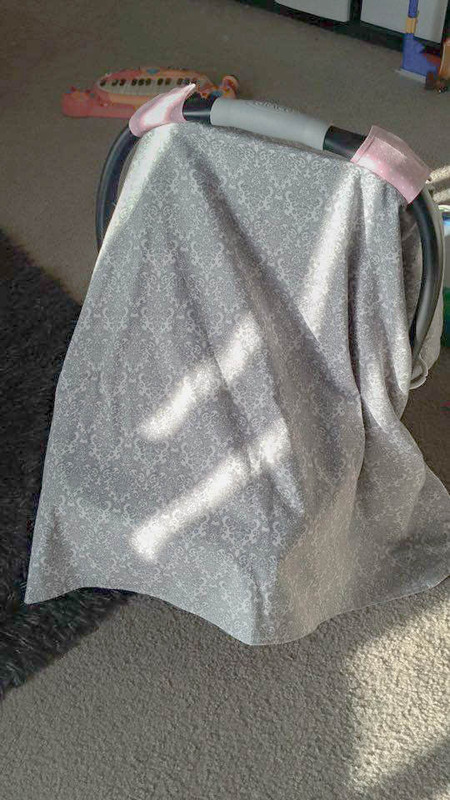 There is so little time right now that crafting has almost been completely pushed to the side, with the exception of things Ellie “needs.” Like a car seat cover! Allow me to attempt another tutorial and tell you how to make this super easy project! Cut front and back piece, 35×42.5 inches. Fold so that all four corners are together. Use rotary cutter to cut a curved edge on all four corners at once so that they all match. If you are concerned your curve will not be perfect, use card stock to mock up the curve you want to use, and lay that onto your folded fabric to use a template. Pin front and back together with the right side of the fabric on the inside. 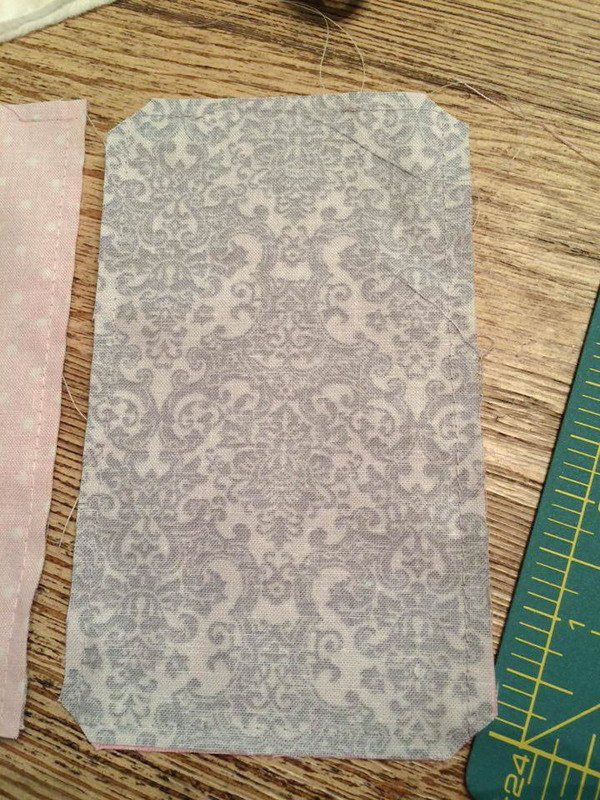 and sew 1/2″ from the edge, leaving a 4-6in gap on one side. 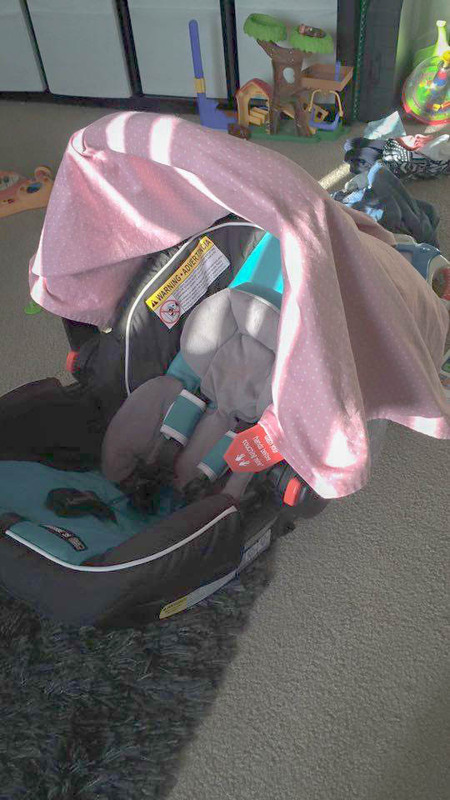 Use the gap to turn the car seat cover right side out. Be sure to reach into the inside to push corner curves out completely. 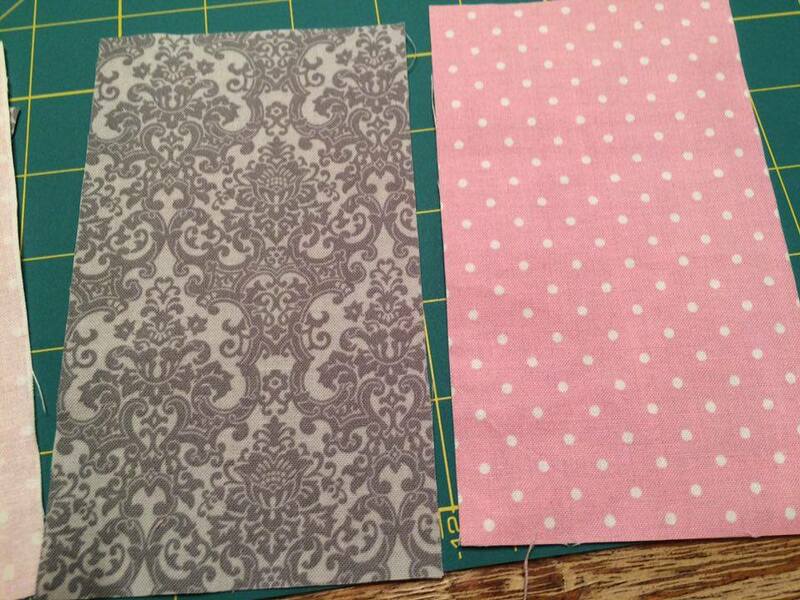 Pin the gap closed, then top stitch around the entire car seat cover, about 1/4″ from the edge. For the fasteners, cut four strips, 2 from your front fabric and 2 from your back fabric that measure 6″ by 3 1/2″. Take one strip of back fabric and place it face down on one strip of front fabric, sew along the edge with 1/4″ seam, leaving a 1-2″ opening. Trim the corners, then turn the fabric right side out. 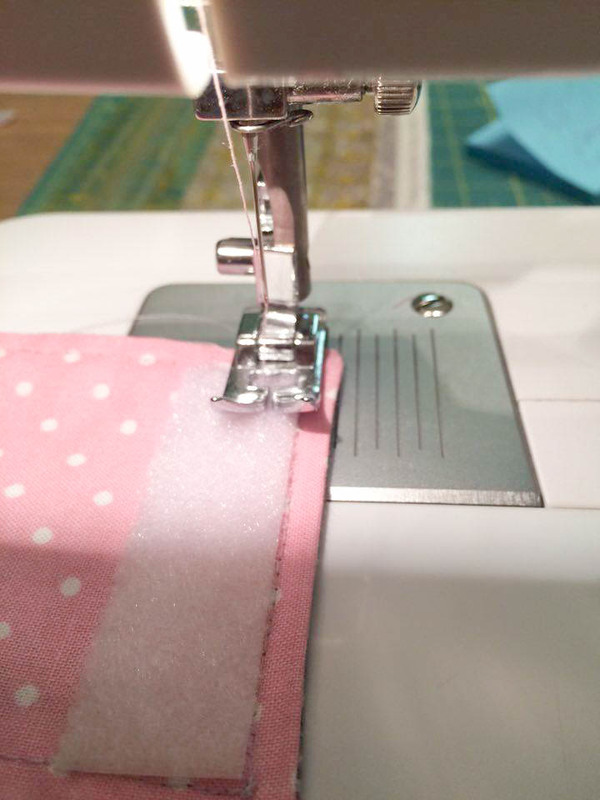 Pin the opening closed and top stitch around the outside as close to the edge as you are comfortable. Measure and cut a piece of velcro that fits just inside of your top stitching on the fasteners. There is a soft and rough side to your velcro. Pin the rough side along the edge of your top stitching on the fabric side you want to see on your fasteners. Sew the velcro onto the fastener strip, as close to the edge of the velcro as you are comfortable. Turn the strip over, and on the bottom of the fastener (on the fabric side for the inside of the fastener) attach the soft side of the velcro. Repeat for the second fastener. You should be able to velcro them into a loop. On the large cover piece, find the center of the top edge, then measure 19 inches down from there. Once you have found that spot, measure 5-6″ in either direction to find the center of where the fasteners will attach. 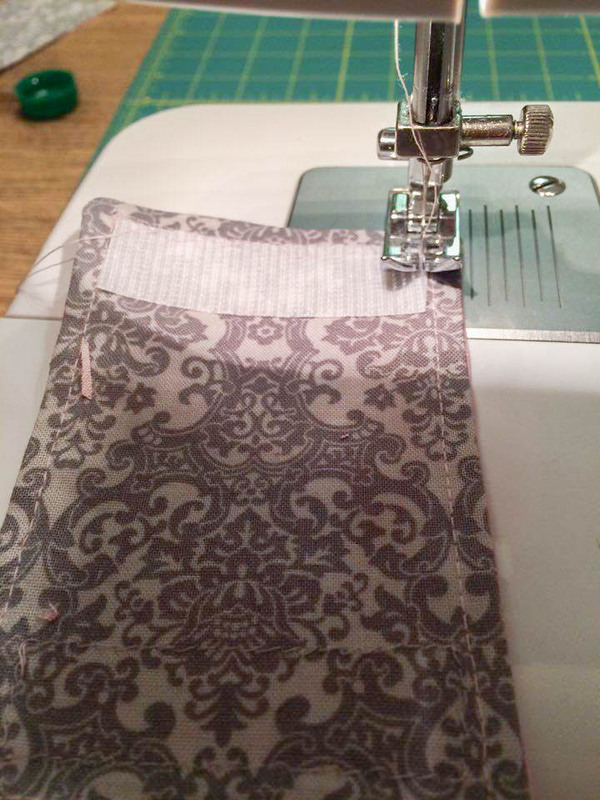 Attach your fasteners by sewing a rectangle the width of your fasteners and 3/4″ tall on the center of the fastener. Sew an “X” across your rectangle to further anchor the fastener. See the blue lines in the picture below. Ta-da! Your car seat cover is complete! I hope this tutorial is helpful to you, please leave any suggestions or edits in comments! I’m still new to this whole tutorial thing, so I’d love some feedback!